The project kick off meeting was held in Istanbul on December 5-7, 2014. It helped partners agree on a timeline, define expectations of the first project output and learn how each of our institutions are currently using internationalization data. On 14-16 April, 2016 we had our fourth project meeting in Celje, Slovenia hosted by ISSBS. It was also our first event with Slovenian Higher Education representatives! 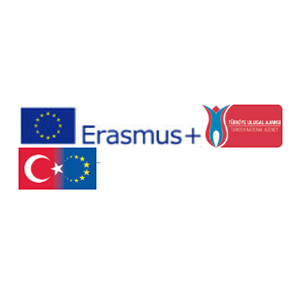 It is a 2 year Erasmus+ Key Action 2 funded project (2015-2016) led by Koç University (Istanbul, Turkey) and project partners: Universidad Autonoma de Barcelona (Barcelona, Spain) and International School for Social and Business Studies (Celje, Slovenia). After checking our website we invite you to join our LinkedIn group where we will be encouraging discussion on the topic of internationalization data management at institutional level and creating a community of interested higher education managers and researchers. Click here to join. RT @fmarmole: More than 4000 international comparative #education indicators are available at @WBG_Education’s EdStats Portal..
RT @infogram: We know you want your data presentations to be impressive and memorable. Learn..
Today presented HEIDA project to @EU_Commission Director General for @EUErasmusPlus in her visit to @kocuniversity…..
Is it time to shift focus from measuring outcomes to expectations?Interesting blog post from @Wonkhe…..
the HEIDA project was featured in the latest issue of the @DAAD_Germany EuroLetter (in German,..
RT @EduDataSummit: Melissa Abache, Global Engagement Manager, Koc University presenting on The HEIDA tool for..